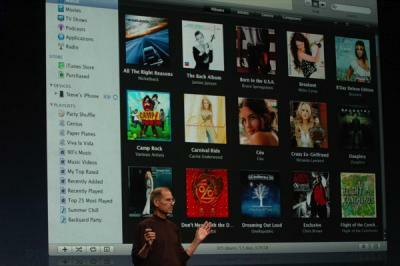 One of the major announcements during last week's media event was the return of NBC shows to the iTunes Store. NBC reportedly accounted for 40% of iTunes video sales prior to their removal late last year. Hollywood Reporter reveals that over 1 million NBC iTunes downloads have been logged since the studio's return on September 9th. Some of those downloads may have been free HD episodes which are currently available from iTunes. NBC's fall season will kick off next week for many of its popular shows including The Office and Heroes.